OSHA issued a compliance directive, CPL 04-00-002, providing updated information and guidance to its national, regional, and area offices concerning the Agency’s policy and procedures for the approval of Local Emphasis Programs (LEPs) and Regional Emphasis Programs (REPs). Originating offices must demonstrate that a strategic hazard assessment was conducted. An outreach period of at least 90 days must be conducted prior to beginning enforcement. LEPs may now extend up to five years. A program report must be completed for each LEP. The approval process for new LEPs has been updated to include congressional review and the role of the LEP Review Team. LEPs and REPs provide for programmed inspections of establishments in industries with potentially high injury or illness rates which are not covered by current OSHA inspection scheduling systems or have hazards that are not addressed adequately under existing targeting programs. 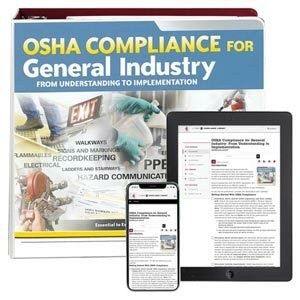 J. J. Keller's OSHA Compliance for General Industry manual is your single source for real-world OSHA compliance guidance.